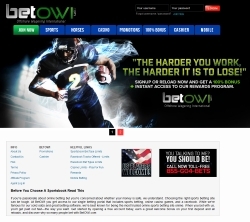 BetOWI has slowly gone from a small sportsbook that no one ever heard of to a medium size sportsbook that everyone is asking about. Since its inception in 2013, BetOWI which is owned by the known and trusted bookmaker, SportsBettingOnline.ag is the sister book that offers generous bonuses while at the same time giving you peace of mind. That is because this sportsbook has large financial backings and is known for always paying its players and has never had any legitimate complaints about not getting paid. 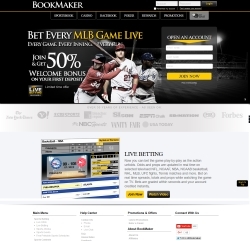 Bookmaker.eu is one of the big online sportsbooks that have been around since the early 1990s and is part of one of the largest sports betting companies in Costa Rica, Bet CRIS. This sportsbook has always received top marks from several sportsbook reviews websites and is one of the few sports betting operations in Costa Rica that take large wagers. Bookmaker arguably has some of the best gambling odds in the business if you are a better that knows how to use odds to their advantages. This book is under the leadership of Mickey Richardson who is the director and is a great place for sharp players. Some of the drawbacks to playing at this book is that in terms of bonuses, this sportsbook is pretty cheap and if you can read between the lines, giving away a 50% bonus but having a limit of up to $300 is not a very good bonus if you are a large depositor. In addition, they do have a loyalty program but it is only available to recreational players. 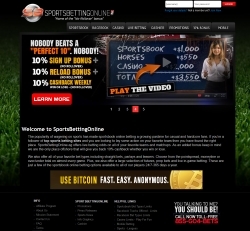 SportsBettingOnline took the sports betting industry by storm back in 2012 when it decided that it was not going to offer big bonus or even normal bonuses but instead, was just going to give out a straight 10% NO Rollover bonus. 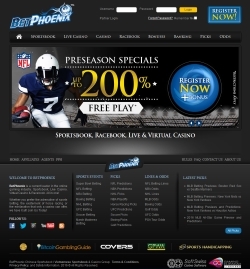 This led to SportsBettingOnline.ag becoming the no hassle, just straight up, deposit, bet and collect sportsbook without any hoops to jump through when you asked for your payout. Today, the brand is as strong as ever despite thanks to their strong commitment to their players. In facts, since their inception they have continued to improve their website making it one of the easiest place to place your bet whether you do it on your desktop or your mobile. 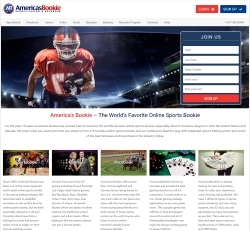 We thought we would write a review with AmericasBookie since they recently acquired a majority ownership of 1Vice.ag and we wanted to know more about this online sportsbook. This is another sportsbook that is located in Costa Rica which is owned and operated by Robbie McPhail who is the owner of RDG Corps. Mr. McPhail was also the owner of Apex Sports which ended up going bankrupt leaving several players hanging with a balance owed to them. In 2005, he opened AmericasBookie which began with many complaints and issues two years after opening its doors to the public. The have continued since then and remain a low grade sportsbook because they have a tendency to limit your limits, action, bet type and what sports you can bet on when a player starts to win. 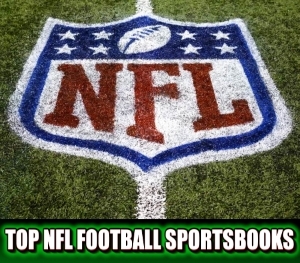 If you are a constant loser at this book, then they are several advantages of using this bookmaker include competitive bonuses, live betting, fast payout, referral program and gamblers insurance.